I love learning about new people so I am super excited to link up with Grade Three is the Place for Me for her Newbie Bloggers Blog Hop. I am currently a student. At the end of this semester I will have completed 30 observation hours (10 in a special education preschool classroom and 20 in a Pre-K classroom). I also completed a student internship in high school with Kindergarten, 1st, 2nd, 3rd, and 5th grade. I started my blog on July 28, 2012 so I am definitely a newbie! I recommend finding tutorials to help you get started. I also recommend using a lot of pictures in your posts to hold your audience’s attention and to make blogging a little more personal. Well that's it for today! 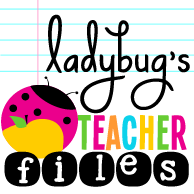 Now hop on over to Grade Three is the Place For Me to join this awesome newbie blog hop! 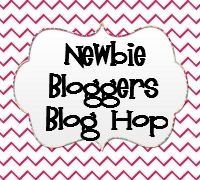 I found your blog on the newbie blog hop, and became your newest follower! I am brand new at this blogging world myself. I will have a student teacher this fall, so I thought it would be great to join you and perhaps you can help me out from a student's perspective from time to time! I am so glad you are my newest follower! Welcome to my blog! Please let me know if I can ever help you in any way from a student's perspective. I would love to offer you any advice you may need. :) Thanks again! Back to School and Classroom Library Labels! Lazy, Hazy, Crazy Days of Summer and a Freebie!